As J.C. Dye looked at the sculptures and canvases during a fortuitous 3rd grade class trip to the C.M. Russell Art Museum in Great Falls, Montana, a door opened inside him. In school, rudimentary drawings of horses and cowboy life filled the margins of his work sheets. Out of school, he helped his father work their small ranch and was always aback a horse pretending to be a cowboy. At night, images from the western movies he loved galloped across his dreams. Two years later, his mother left. His father heartbroken forced much of J.C.’s raising to himself. After school, J.C. came home to an empty house and chores that had to be done in his father’s neglect of the ranch. After completing chores, he would sit for hours and hours under a single bulb in front of a work bench in the basement, sculpting. “It was the carving of horses that got me through those tough times,” he says. Years later, creating art was again what brought calm back to J.C.’s life after serving in the Marines in field artillery communications in the infamously deadly Ashau Valley, Con-Tien, and numerous other fire support bases during the Vietnam War. For bravery and service, he earned the Combat and Vietnamese Cross of Gallantry metals of honor, to name a few. J.C. has exhibited in the Gene Autry Museum Art Show in Los Angeles, California, American Academy of Equine Arts in Lexington, Kentucky and the Western Heritage Show in Kerrville, Texas to name a few. 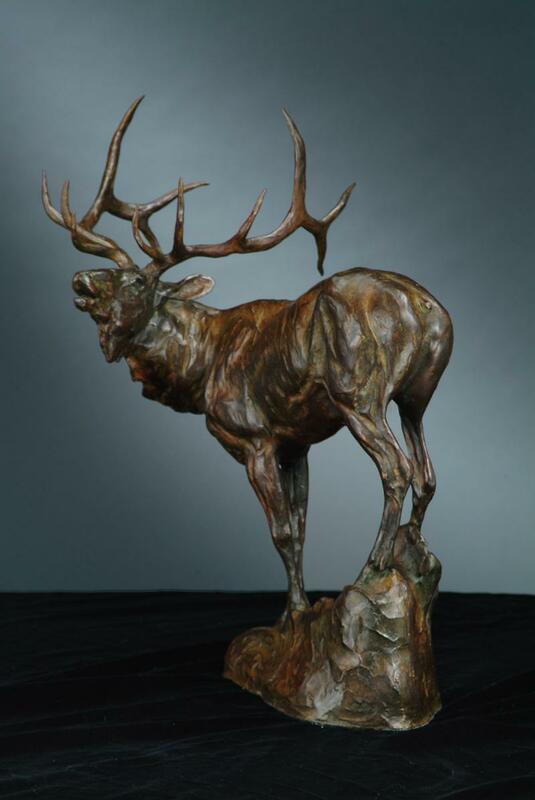 He has been the recipient of various awards such as the “People’s Choice Award” and the “First Place Sculpture Award” in the Central Montana Art Show, “Best of Show Award” in Clearwater, Florida and the “Founders Award” presented by the Academy of Equine Art. J.C.’s work has been displayed in The Canton Museum of Art Canton, Ohio. The International Museum of the Horse in Lexington, Kentucky; the Arts and Science Center in Pine Bluff Arkansas; and is in the permanent collection of the Hiriam Blauvelt Art Museum in Oradell, New Jersey. Additionally, monuments ranging from ¾ life-size to life-size and ½ are displayed in the City of Casper, Wyoming; University of Quinnipiac in Hamden, Connecticut, Judith Basin County in Stanford, Montana; Walgreen Shopping Center in Chandler, Arizona; Fairfield University in Fairfield Connecticut; City of Sheridan in Sheridan, Wyoming. Completed works also include monuments commissioned and purchased by private collectors within the United States. Articles featuring J.C. have appeared in Art of the West, Western Horseman, Equine Image and Wildlife Art as well as numerous newspapers. After taking a hiatus over the past several years to battle life-threatening health issues, J.C. returned to sculpting this last year. With renewed passion, he creates works with a greater knowledge of the beauty and preciousness of the western heritage he has lived.